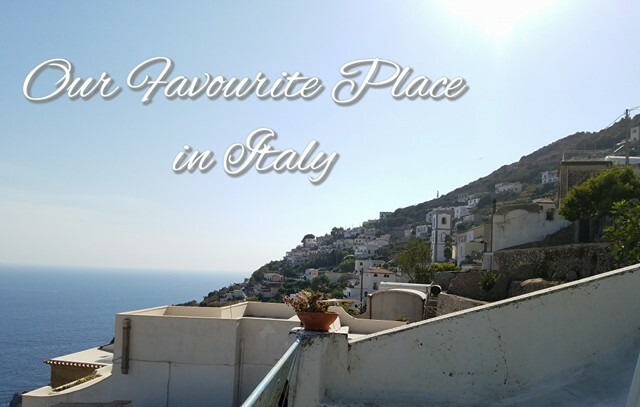 Dolce Vita Bloggers: Our favourite place in Italy! "Nooooooo, Mummy we don't want to get in!!" We screamed, again and again. We were stood in our knickers, on the sandy shores of Positano beach and were quite content playing in the sand. We clearly had absolutely no desire whatsoever to get into a little wooden boat that would take us into the crystal clear, electric blue scary, dangerous sea! After sunning ourselves on the beach, frolicking around in our underwear, for a while longer, it was time to head back to our Grandad's apartment in Sorrento. (We think we won the war with the boat and did not step foot in it.) With it's white washed walls, and white marble floors - the apartment was perfect for two four year olds and one two year old to tuck into plates of Nanna and Grandad's delicious spaghetti with tomato sauce, without a care in the world! Once our lunch was demolished, we watched an extravagant parade, from the comfort of our balcony, mesmerized by the colours and statues that were being carried through the city. They looked heavy and the street was crowded, but the sounds of hundreds of Italians chanting and talking was comforting. With Nanna and Grandad close by, as well as our Mum and Dad, we were practically home. The next day we took a trip to see our Aunties in Praiano, a small fishing village, and no doubt our favourite place in Italy. We climbed what felt like hundreds of steps, for our tiny legs, to make it to the house Nanna grew up in. Years later we came to count those steps and hundreds there are indeed. Once at the top we proceeded to scream from the hilltops 'Billy!!! Billy!!! ", the name of our Auntie's dog, who had ran through the gate to greet us and then kept on going. Completely distraught in our fears that we had lost him forever (you may have gathered by now that we were quite dramatic children) we stood and shouted his name until he thankfully came back. And so, with Billy safely within the house walls, we helped our Auntie's prepare lunch in the kitchen, whilst yet again, sporting just our knickers - notice a theme, one of which we have no idea why - We stood on little over turned crates helping to clean the freshly caught fish of the day while happily getting our hands mucky and listening to the chatter of our family in the background. 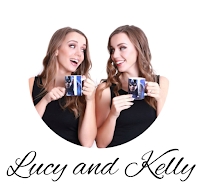 Read our first #DolceVitaBloggers post "Our Italian Connection"
Lucy & Kelly, I loved reading about your childhood memories in Italy!!! Isn't it funny how a little perspective can change the scary sea into something beautiful!? Your family is from one of the most stunning places in the world!!! I've been to Positano before (definitely one of my favorite places in Italy & the whole world!) but I'd love to see Praiano and other towns on the Amalfi Coast. I love how you mentioned the sound of Italian was comforting, I think so too even if I can't understand everything! When is your next trip to Italy? I am sure your husbands will love the Amalfi Coast!!! We're hoping to go in April for a project we are working on. What about you? I really want to visit Positano, Sorrento and Praiano. They all look like such beautiful places to visit! 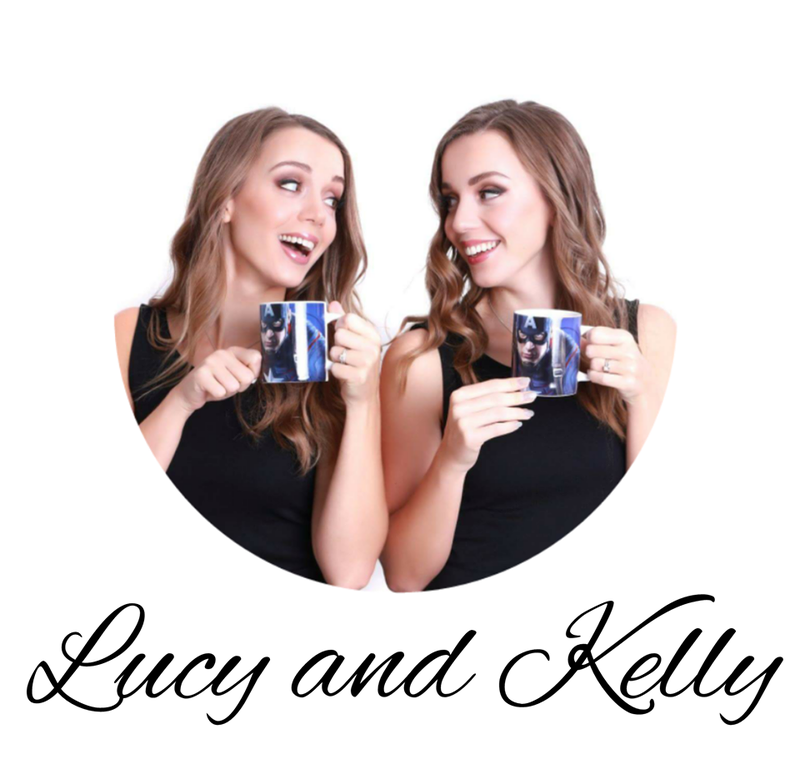 You two are great at storytelling, I want to read more!! I think the Amalfi coast must be an incredible place to experience as a child, but yes, now time to take your husbands! There's something so special about connecting to your roots. A few years ago, I visited the town where my great-grandparents came from in Sicily. It was very emotional. Aww, that sounds lovely. It is very special. Last time we went to Praiano was after 16 years away from it. We couldn't believe how much we remembered and how much it felt like home. We were walking the streets at 5am to go to the cemetery of all places and yet we didn't feel scared or anxious. It's quite amazing how that special connection makes you feel. Sorrento was one of my absolute favorite places of all times. 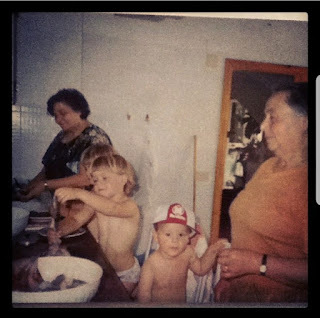 Your stories really remind me of experiencing Southern Italy with my family there (in Calabria). I definitely felt the emotion in this post. Thanks for sharing!